To learn all about it, visit FCI exhibit Booth 1354 at the 2018 Offshore Technology Conference (OTC), which will feature a demo of the VeriCal System with the ST100 Series Flow Meter. 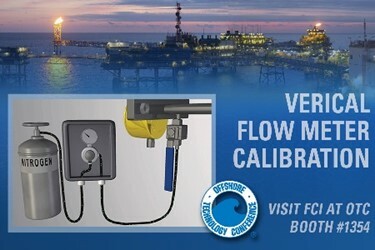 This industry unique calibration verification system reduces flow meter operating costs in flare gas applications aboard offshore platforms, at land-based oil/gas facilities and in petrochemical plants. status, and the ability to interrogate for service diagnostics.